A vision of the future – This exposition was a world’s fair held in Brussels, Belgium in 1897. There were 27 participating countries, and an estimated attendance of 7.8 million people. The primary designers of the fair were among of the Belgium Masters of Art Nouveau Architecture. Artists include, amongst others, were: Henri Privant-Livemont, Henry Van de Velde, Paul Hankar, who were also poster artists. 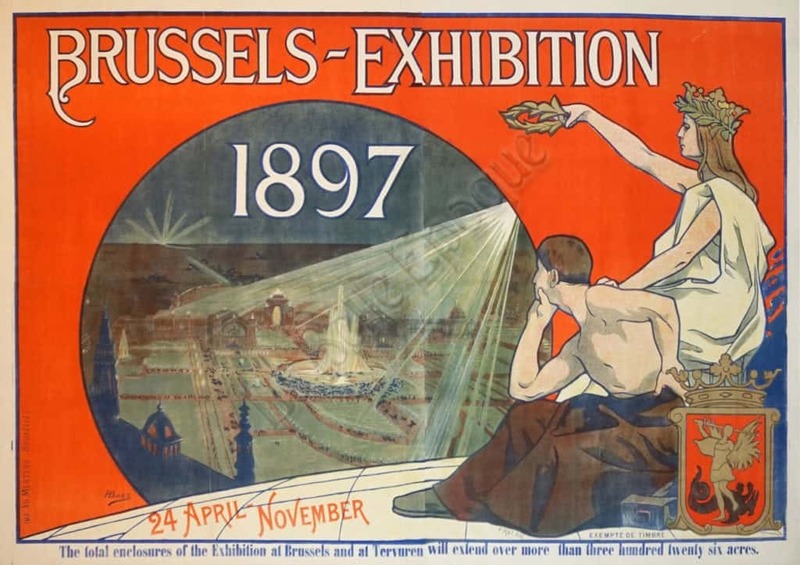 This magnificent poster features the new technology of the light (electricity) shining over the Brussels fair.